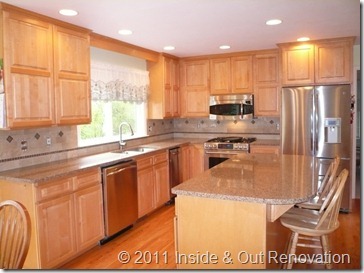 This Woodinville customer’s desire was to just refresh and modernize the kitchen. She wanted to have a practical countertop and refinish the floors. 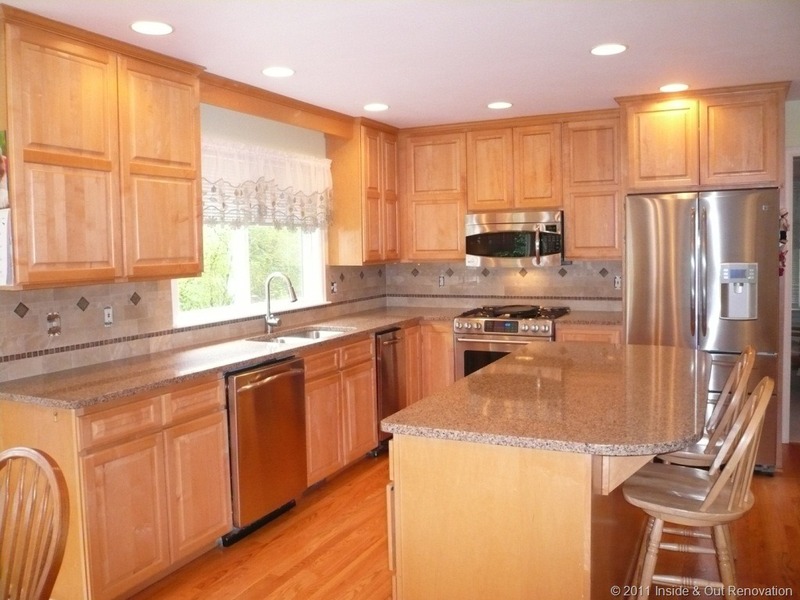 Her cabinets were still in great shape and were not dated. Chroma Quartz by Pental was the countertop material of choice with a Moen high rise faucet. A full height backsplash between upper and lower cabinets were both for décor as well as function. Refinishing the floor required the usually three day absence but the end result was a beautiful floor and a dust free home.